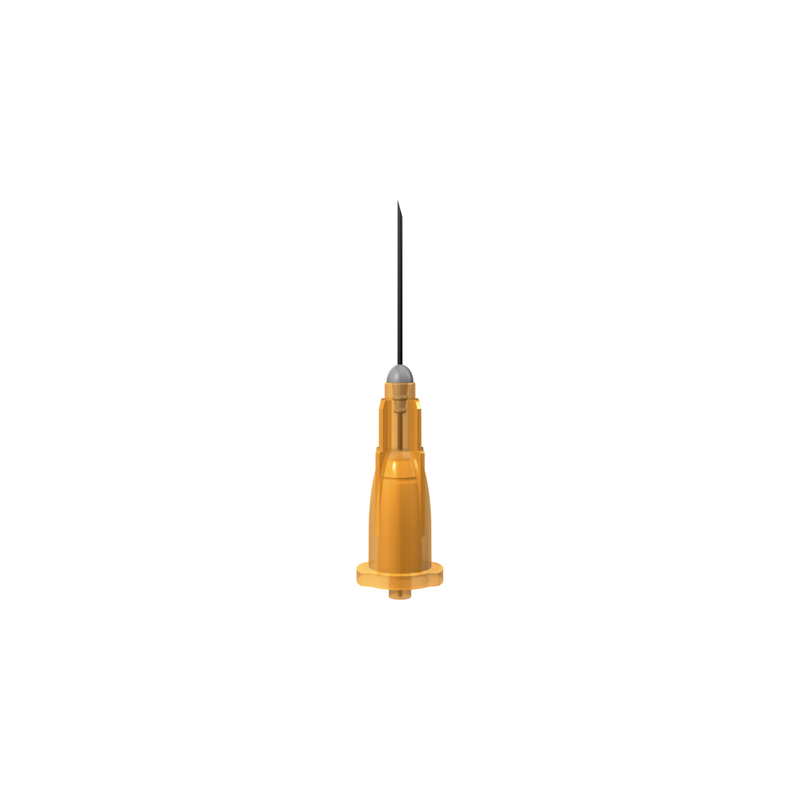 A low dead space 25mm (1 inch) 25g/Orange hypodermic needle, developed to help reduce the spread of HIV and other blood borne viruses. 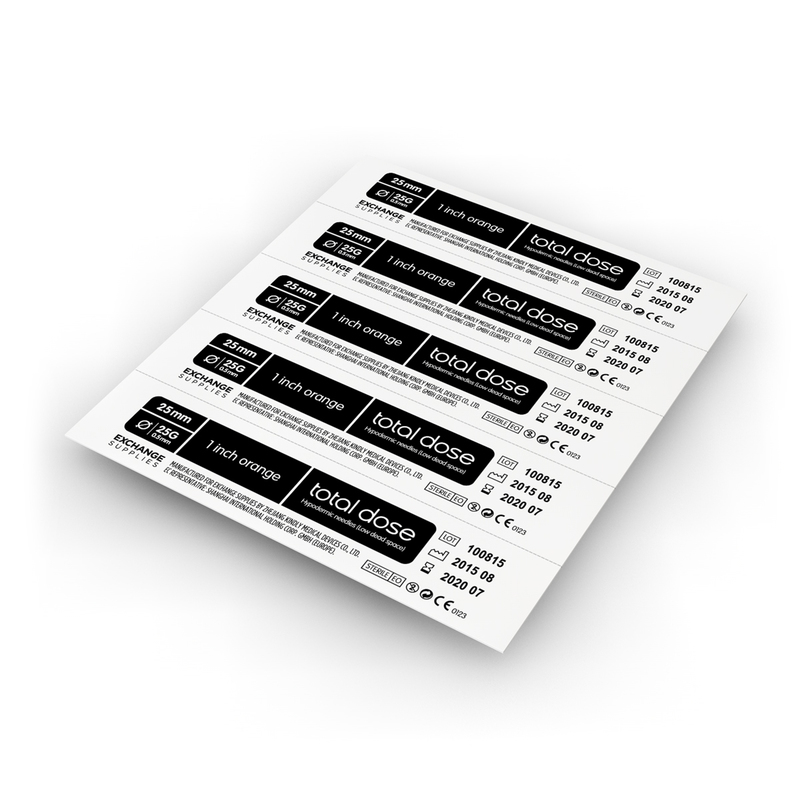 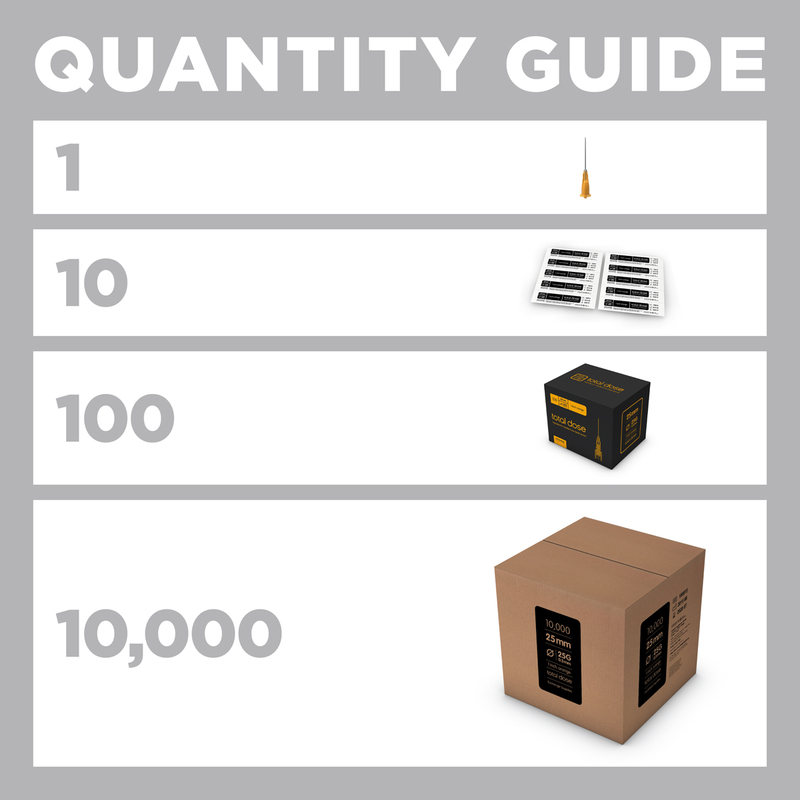 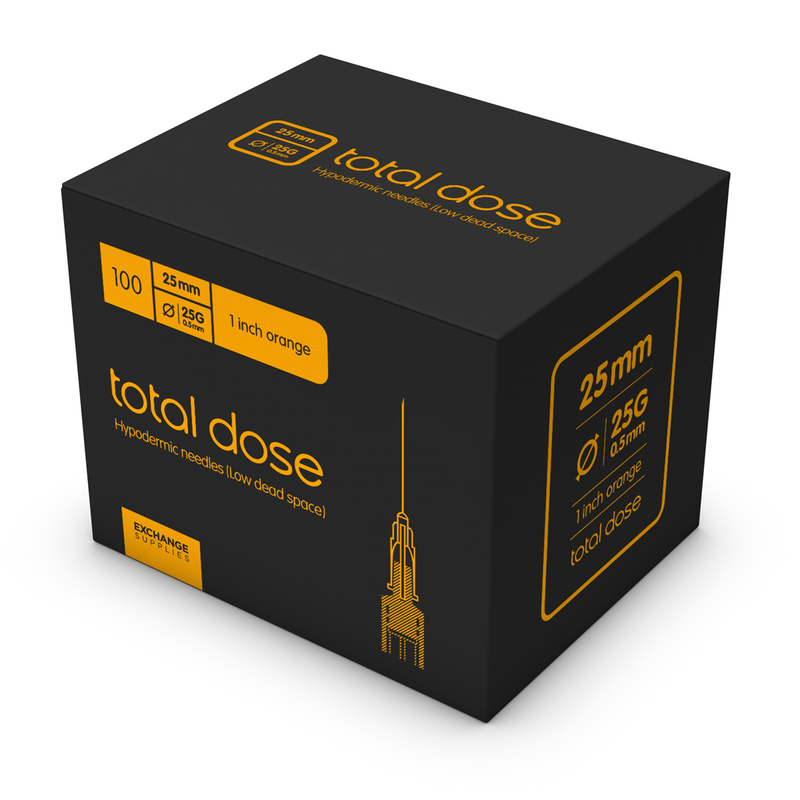 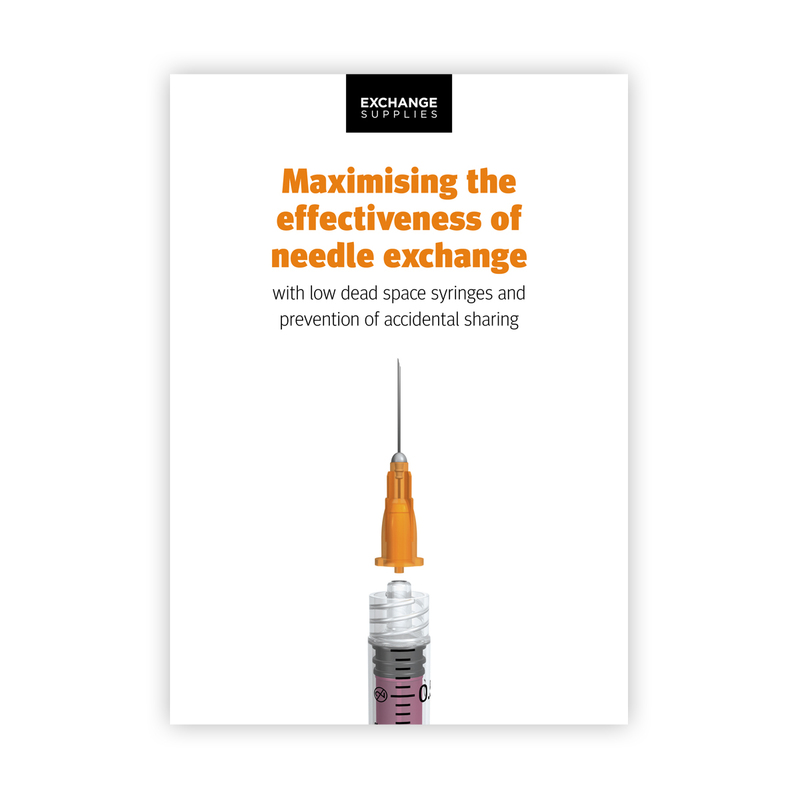 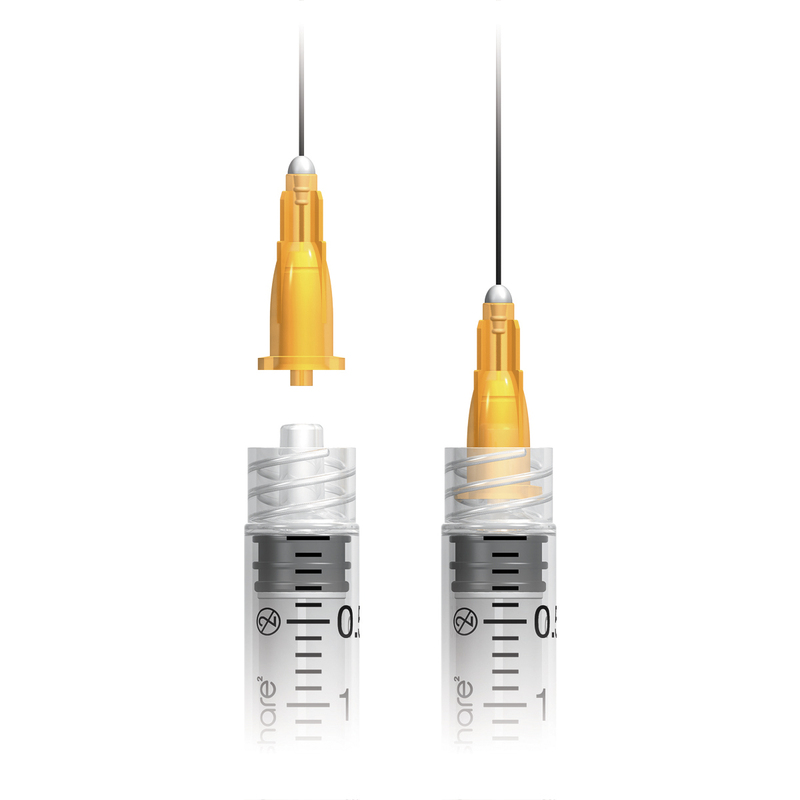 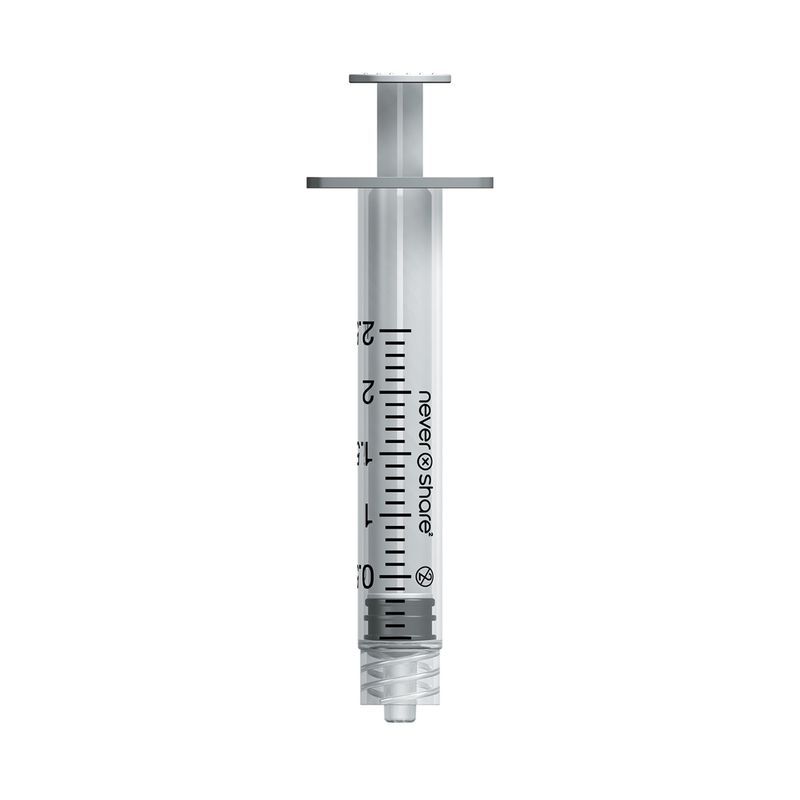 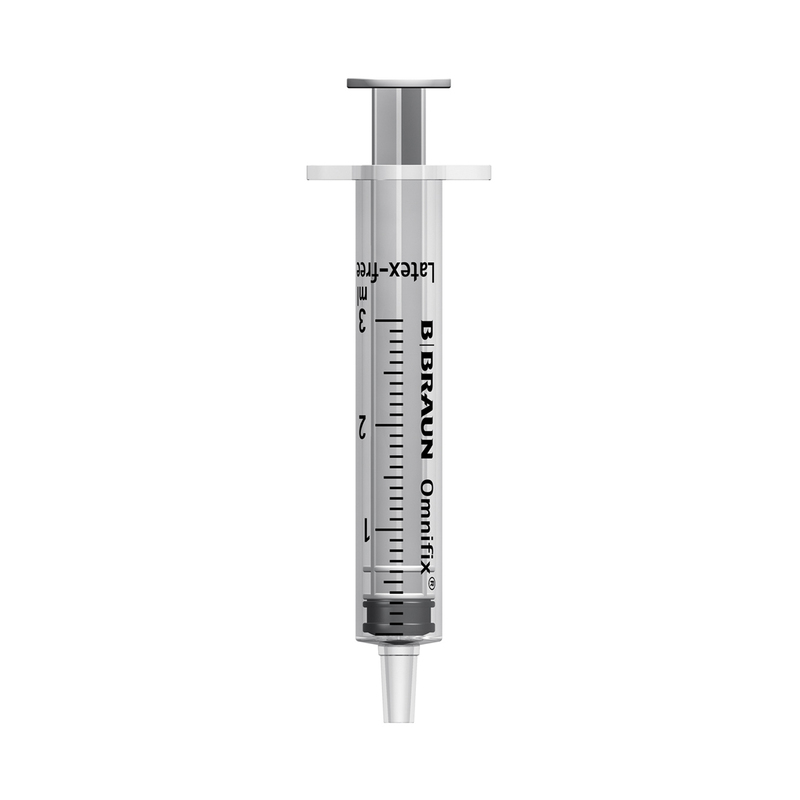 Total Dose needles fit well on most makes of 2ml (and larger) syringe for detachable needles, such as the Nevershare 2ml syringe. 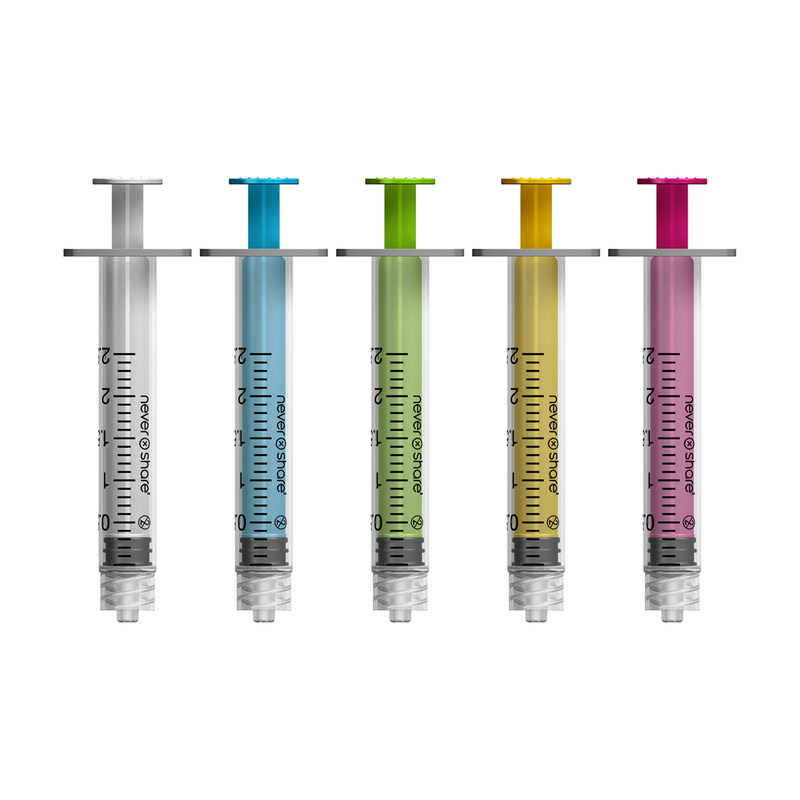 We had the dead space in this product independently assessed at the Research Institute for Industry, Southampton University. 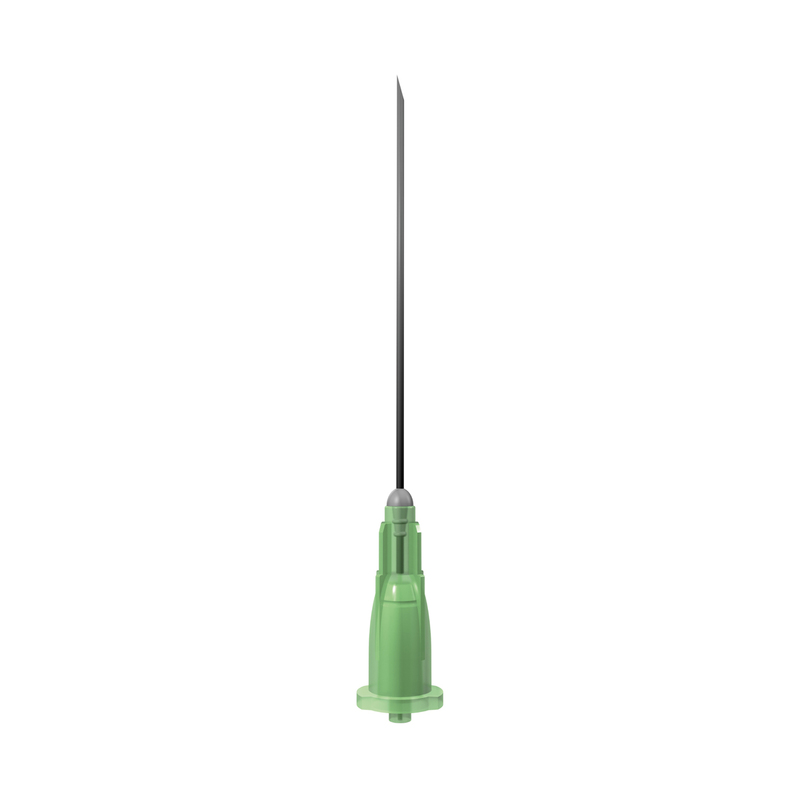 Conducted by Dr. Xize Niu and his team, who are experts in microfluidics, the assessment used 2 different highly accurate measuring techniques to determine that the Total Dose needle design reduces the dead space available for blood residue following injection from around 91.6 µL (in a 'standard' Luer Slip needle and 2ml syringe combination) to just 26µL. Furthermore, high speed imaging of a simulated injection sequence has demonstrated that liquid and air become trapped in the needle hub at the top (farthest from the syringe), and that when blood is subsequently drawn into the needle and syringe, contamination of this void is prevented by this existing water and air, reducing the amount of blood contamination in this area to between zero and 20 µL.